When grace, which transcends conflict, outcasts, and pain is extended to those not worthy of it, lives are transformed. Abigail and the Women at the Well are both well known stories. Both women seem to have not only courage and bravery but wit about them. 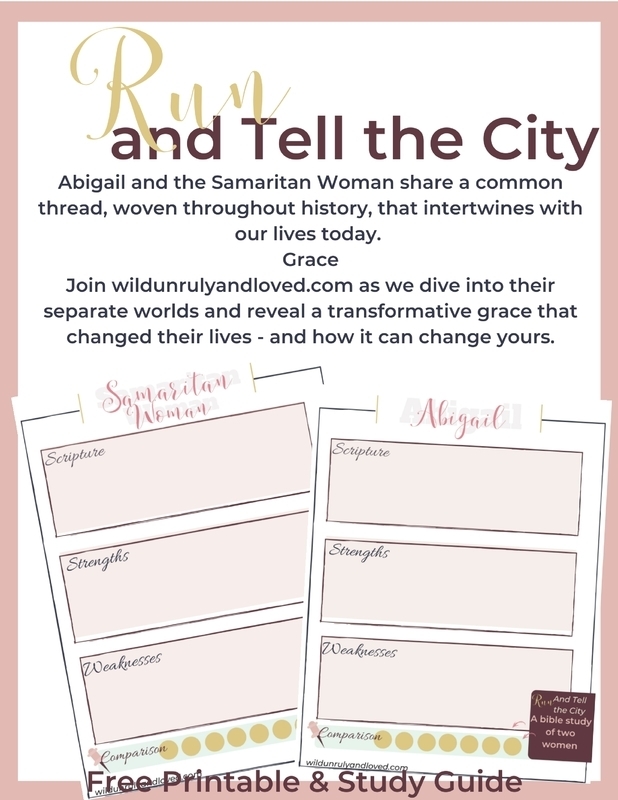 Click here to get your free bible study and your free printable guide. You can also join us on Facebook to discuss, share, and learn. These two women, seemingly unrelated, have a lot to teach us about how we see people in our own churches, families, and lives. Subscribe to get our latest bible studies and book club suggestions right to your email. **Squeee** Oh new friend, success! Make sure you check your email and confirm that subscription, you don't want to miss a thing. © Copyright 2019 ME Cutting LLC. All rights reserved.